In my years as a clinical psychologist I have worked with hundreds of people whose heart was broken by love or loss. Anyone who has experienced a broken heart (and that is most of us) probably remembers the feeling well: the shock, the haze of unreality that makes us feel as though we must be in an alternate universe, and how disconnected we feel when we see those around us go about their lives as if nothing has happened, oblivious to the earthquake of emotional devastation that has shattered our world. But by far, the most pronounced aspect of heartbreak is the paralyzing emotional pain it causes. 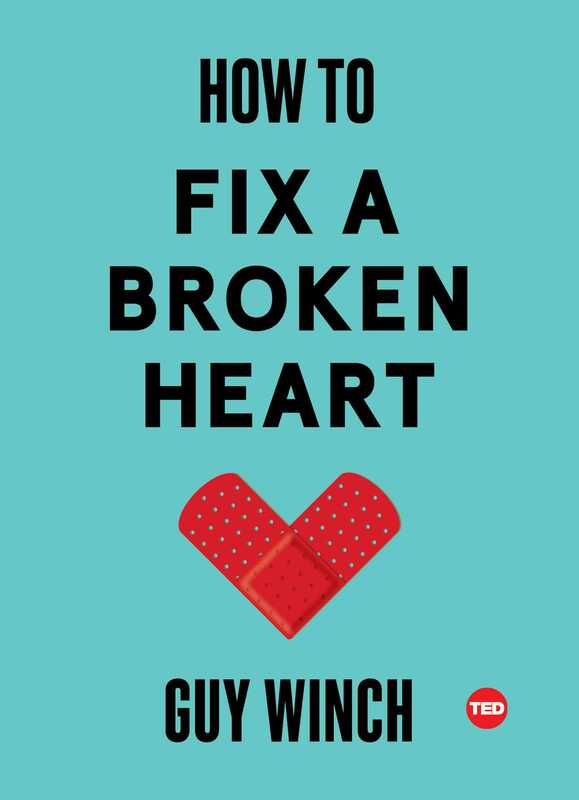 Indeed, our very understanding of what it means to have a broken heart is so tightly bound to the incredible anguish it causes, the two are practically synonymous. In many ways they should be, as the story of heartbreak is a tale of emotional pain, our responses to that pain, and our efforts to recover from it. When a patient’s heart gets broken my heart always aches alongside theirs. The training and defense mechanisms that typically shield me in my daily work often fail in the face of such raw emotional agony. Perhaps I allow my defenses to fail—my way of letting the grief-stricken person before me know that I see their pain, I feel it. Because unfortunately, many people in their lives do not. Our journey through heartbreak is determined by multiple variables: the specific nature of the relationship or loss, our fundamental character and coping styles, our individual and familial histories, the current context of our lives, and how we manage or mismanage our recovery. The last crucial variable that impacts our recovery is also the one most likely to disappoint us—our available support systems: friends and family, communities, schools, and places of employment. Support systems typically play a pivotal role in recovery from loss. Consider what happens when we lose a first-degree relative. The outpouring of concern around us provides emotional validation, reassuring us the emotional pain we feel is a normative and reasonable response to our loss. Friends and family offer compassion and empathy, as well as both literal and metaphorical shoulders to cry on. Neighbors and community members bring us food and encourage us to eat if we are in too much anguish to register hunger. Our workplaces offer us time off to grieve and receive the support we need and many also offer counseling services to aid our recovery. However, when our heartbreak is caused by a romantic breakup or by the loss of a beloved pet—which are not considered sanctioned forms of grief—our support systems are likely to respond very differently. As we shall see, this lack of support impacts us in significant ways. Not only are we robbed of an essential curative ingredient, we are often faced with additional stresses that compound our suffering, increase our emotional distress, and complicate our recovery. What makes this lack of support even more impactful is that we don’t exactly have a quiver full of therapeutic arrows to deploy when our heart is broken. We have been experiencing broken hearts for millennia and yet most of us know of only two healing agents: social support and time. Losing the former leaves us with only time as a remedy, a variable over which we have no control whatsoever, which is why heartbreak often makes us feel so helpless. This is also why so few of us seek the counsel of a therapist when our heart gets broken. We assume the only significant thing a therapist could offer in such situations is support, and most of us hope to receive that from our friends and loved ones, at least initially. Therefore, it should not be surprising that the vast majority of my heartbroken patients came to therapy to discuss other issues entirely (dating and relationships often among them) and their heart happened to get broken during treatment. The patients we will meet in the coming chapters represent a variety of heartbreaks and circumstances. Their stories reflect the various ways we are impacted when our heart gets broken, the mistakes we make that set us back, the roles our support networks play, and the different roads we can take to recovery. Heartbreak is painful enough when there are signs of its impending arrival, when it comes upon us slowly. But when it assaults us suddenly and unexpectedly, it can be as shocking as it is devastating. Therefore, when I see heartbreak coming from miles away, I always sound a warning. Some of my patients heed these warnings, many do not. Such is the lure of hope and need when infatuation teases our heart with the promise of deeper love. And then every once in a while, I am as blindsided by the heartbreak that befalls my patients as they are. Kathy was in her late twenties when she first began psychotherapy for issues that had nothing to do with heartbreak. Raised in a small town in the Midwest, she had moved to New York for graduate school, fell in love with the city, and decided to stay. An excellent student, she had no trouble landing a corporate position as soon as she graduated. When I met Kathy for our first session she was well-groomed and well-dressed in a crisp pantsuit and heels. With poise and confidence that matched her firm handshake, she sat forward on the couch, legs folded and hands on her lap, showing no signs of nervousness about having to tell a complete stranger her life story, or highlights thereof. I was still settling into my seat when she smiled and said in a rich, smooth voice, “Shall I tell you why I’m here?” Kathy’s body language conveyed patience and self-control yet she was clearly eager to get down to business. “Please do,” I said with a smile. Kathy took a deep breath and began “I was that girl who plans her entire life in middle school, wedding scrapbook and all.” She ticked the steps off on her fingers. “I’d go to college then graduate school, land a good job, and start dating my future husband by age twenty-seven, twenty-eight at the latest. We’d move in together after a year, get engaged a year after that, and marry before I was thirty.” The obvious distress on Kathy’s face told me her life had not gone as planned.